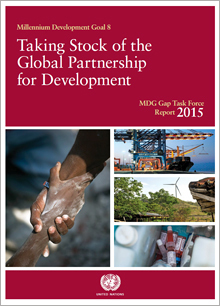 The MDG Target 8.B calls for more generous ODA for countries committed to poverty reduction. While the context of this specific commitment is enhancing support for the least developed countries (LDCs), subsequent commitments on aid quantity have been geographically broader in coverage. At numerous international Summits and conferences, donors have repeatedly pledged to make concrete efforts towards the target of 0.7 per cent of donor gross national income (GNI) as aid. The international community has also formalized actions that should be taken to improve the quality and effectiveness of aid.